Aspen Roofing & Exteriors, Inc offers expert services covering window and door repair. We have over 30 years of experience in the restoration of windows and doors, offering a range of services. We're your go-to choice for window and door restoration in Denver and Dallas. We offer both residential and commercial services for your windows and doors. Our services help to keep your home and your business safe and secure, as well as protecting its structure and improving energy-efficiency through expertly installed doors and windows. As experts in garage doors, Aspen Roofing & Exteriors, Inc has over 30 years of experience. We can help you with a range of exterior garage door services, including installation and repair in Denver and Dallas. Our Garage Door Services We offer a number of services relating to the installation and repair of exterior garage doors. Your garage door protects the contents of your garage and is often a major entry point to your home too. It's essential to create a secure entry point that also offers convenience when you want to gain access to your garage. Our services for garage doors include both new installations and repairs for garages of any size. Whether you want a brand new door, to touch up the paint on an existing door or to repair a malfunctioning garage door, we can take care of it for you. New Door installs from several manufacturers in town. We install all different types of newest technology in doors,and can special order whatever you request. Our door repair services keep your home secure while allowing you smooth entrance and exit from your home. We can help with both interior and exterior doors. As well as door installation and repair, we can take care of any emergency door services that you might require. Our skilled installers and repair experts are ready to help you with any of your door needs. Solid doors are vital for any property, whether residential or domestic. Doors ensure security and can play an important aesthetic role for a property too. Problems with doors can pose a serious security issue for many homes and businesses, but our emergency repair and replacement services can help you to avoid leaving your property vulnerable. We can install all types of new technology too so that you can use the latest methods to keep your home or business as secure as possible. We can order any products that you request to give you everything that you need for your setup. We offer an extensive range of window repairs to take care of all of your needs. Secure and safe windows are an essential element of any property. Any damage and deterioration should be repaired as soon as possible to ensure secure points of entry. 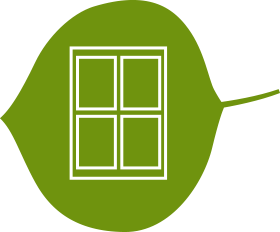 Windows also serve to insulate a property, so keeping them in good condition helps to prevent drafts and improve energy-efficiency. We will do all that we can to respond to any request that you have when you need window repairs and installations. We can install windows from a number of different manufacturers and in various styles and materials. Whether you want vinyl, aluminum or other materials for your windows, we can arrange to have your wishes fulfilled. Our expert team provides top customer service and takes care of everything. Why Choose Aspen Roofing & Exteriors for Your Windows and Doors? Aspen Roofing & Exteriors always strives to offer the very best customer service. We want you to be able to relax while we do all the work and take on full management of the job. We start with a thorough preparation process to ensure the job goes smoothly and only use the best, tried and tested materials available. Our window and door installers are the best in the business, with plenty of experience, skill and offering a trustworthy service. Our talented project managers keep everything organized and make sure that every job is successful. We are the chosen experts in windows and doors in Denver and Dallas. We put pride, integrity, and enthusiasm into all of our work and aim to complete each job to perfection. All of our customers receive high-quality work on their doors and windows, using the best materials and excellent value. All of our work is backed by a 5-year warranty for a long-lasting installation or repair. Contact us now and find out why Aspen Roofing & Exteriors, Inc is the most trusted Denver and Dallas Window and Door Installer. We promise to deliver a quality service to all of our customers. With over 10,000 satisfied customers across the areas that we serve, we're sure that you will be happy with the work that we do for you. All of our customers receive the very best service, no matter if they are residential customers or commercial customers. We make sure that everyone receives the same high standards, and that all of our customers are 100% satisfied with our work. We back our promises with a warranty so that you know we offer more than empty words. Get in touch with us today to book services for windows and doors from Aspen Roofing & Exteriors, Inc. As one of the most trusted installers and repairers in Denver, Dallas, and the surrounding regions, we can confidently say that you will be happy with our service. We make sure that all of our customers are completely satisfied and we only collect full payment once the job has been completed to your specifications. Find out more about how we can help you by scheduling a consultation to discuss your project or requirements. We can consider all of your needs and source any materials necessary to complete the job. Get started by calling your nearest office or getting in touch with our corporate team.